Educate the public about the history and technology of the cable car. San Francisco was not the first city to use the cable car as an early mass transit system, but today it is the oldest traditional cable car system in use in the world. 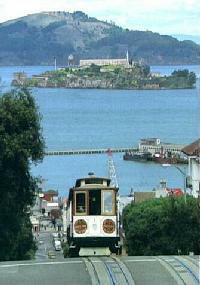 In 1873 San Francisco's cable car system was built. Known as the second hilliest city in the world, the city streets themselves became the reason for the new transit system when a severe accident occurred which killed five horses when the streetcar they were leading slid backwards on a slippery road due to a heavy load. Even though today most San Franciscans travel in their own cars purchased with good and bad credit auto loans, some commuters and many tourists still ride the historic cable car system. Power center for world's only remaining cable cars. Historical photos. First cable car. Also on display are various cable car mechanical devices including track, brakes, grips, and models. Hours: 10-6 daily Summer. 10-5 Winter. 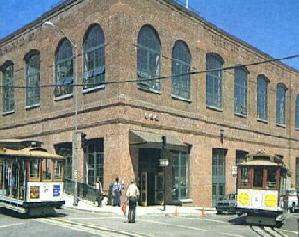 San Francisco Cable Car Museum and Power House. Located within three blocks of every cable car line. 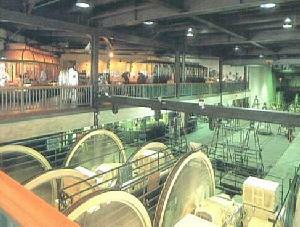 Power House and Cable Winding Machinery. The cable cars grip cable turned by giant sheaves, powered by 510 horsepower engines found at the Museum. 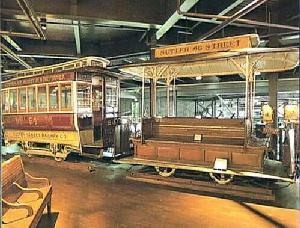 The world's first cable car, built in 1873 by Andrew Hallidie, is among the exhibits at the Museum. San Francisco Means Cable Cars. Cable cars are the best way to see the world's most beautiful city. Walter Rice, Chair, Board of Directors of the Friends of the Cable Car Museum. Do you wish to receive information on how to get your museum on the Museums Tour?